Days after teasing its bezel-less display, Lenovo has now revealed that its upcoming smartphone will debut without featuring a notch cut-out. This will apparently make the new Lenovo model a distinct option in the range of new Android handsets that come with a notch design to match the aesthetics of the iPhone X. Similarly, the absence of the notch on the Lenovo handset makes it a truly bezel-less phone. The smartphone, which is believed to be launched on June 14, is is now confirmed to be called the Lenovo Z5. To recall, the last teaser had confirmed it would sport a 95 percent screen-to-body ratio. Lenovo VP Chang Cheng has posted a sketch on Weibo that seemingly previews the design of the upcoming smartphone. The sketch reveals that the handset would have come with neither a chin nor a notch – instead, it will be an end-to-end screen on the front, making it a bezel-less smartphone. On the sides, the image released by the Lenovo executive shows some visible antenna lines that are likely to sit on a metal frame. It is unclear whether the back of the handset will come with a glass panel or sport a metal covering. 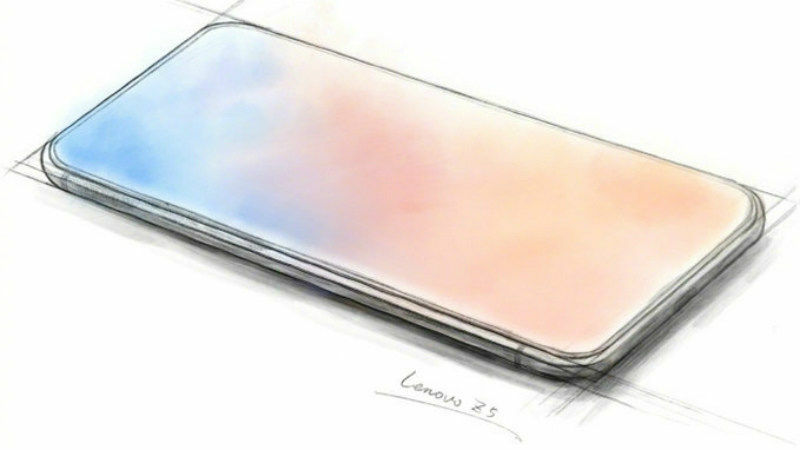 However, the sketch does confirm the name to be Lenovo Z5. Featuring a bezel-less design means a lot as it would be interesting to see that how the speculated Lenovo Z5 will accumulate the selfie camera, earpiece, and sensors including the ambient light and proximity sensor. The company might use an acoustic ceramic earpiece speaker along with an ultrasonic proximity sensor that both Xiaomi deployed on its original Mi Mix in 2016. Alternatively, the handset could emanate sound directly from its display panel. Companies such as LG and Sharp already deployed such solutions in the past. For capturing selfies, we could presume that Lenovo would use a swivel camera – just like the Vivo Apex, which had a screen-to-body ratio of 91 percent. Things aren’t all clear about the Lenovo Z5. However, the handset’s existence is all but confirmed as Cheng previously released its teaser and has now posted its sketch. He has also mentioned in the Weibo post that the new model will include four technological breakthroughs and 18 patented technologies. It appears that we need to wait until June 14 to see what Lenovo has to take on the competition. In the meantime, it is safe to say that some rumours, leaks, and teaser will emerge to detail the new development. Microsoft announced some big things at its Windows 10 preview. New features offered by Microsoft’s latest operating system and flashy tech were highlights of the preview, but possibly the most eye catching announcement was HoloLens. Microsoft is calling this new product a fully “untethered” holographic computer. The ‘screen’ is the space around you, seen through transparent glass lenses. 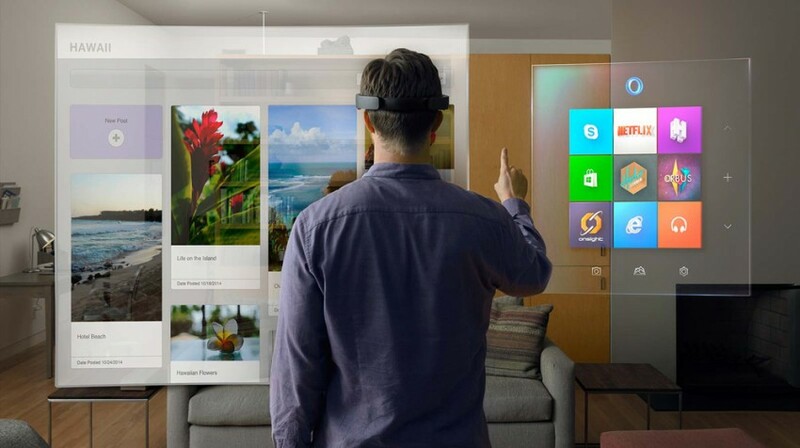 Instead of a mouse, HoloLens is controlled by a combination of gestures and voice commands. It’s a new way of looking at computing. HoloLens will not be displaying holograms in the classic sense. There will be no 3D images popping up in the middle of the room. Instead, what is does is beam light straight into the user’s pupils. Only the wearer can see what’s being displayed. What makes HoloLens unique is that while the wearer can see what is being displayed, they can also see their natural surroundings. Microsoft is claiming HoloLens takes technology and makes it more personal and interactive. To make HoloLens work, Microsoft says it had to go beyond the GPU (graphical processing unit) and CPU (central processing unit). HoloLens has both of these, but it also requires a third processing unit called the HPU. That’s holographic processing unit. Microsoft boasts that its new HPU processes terabytes of information gathered in real time from HoloLens’ many sensors. Capturing and tracking a user’s eye movement, gestures, and voice, there is no delay in response to commands it receives. It can reportedly spatially map your surroundings to display holograms on real world objects. It’s debatable whether what HoloLens does can be considered actual holograms. A better way to reference it might be augmented reality. Whatever you choose to call it, HoloLens is a fascinating concept. There is no telling how well the finished product will work or how useful it will be.